As the benefits of oxygen to the repair and revitalization of the body become clear, many a new oxy product and oxygen treatment are coming to market. You may have heard of hyperbaric chambers and athletes in oxygen therapy. Online, you can find oxygen cream and a range of oxygen infused cosmetics promising oxygen energizing effects. With our The O2 Derm™ Family of Products, Derm Creations introduced a line of oxygen gels that go on smoothly without the need for hot and cold effects, smelly menthol, or a greasy mess. Our formulation contains natural ingredients and is non-allergenic. In fact, we offer 3 distinct formulas to meet your everyday needs. 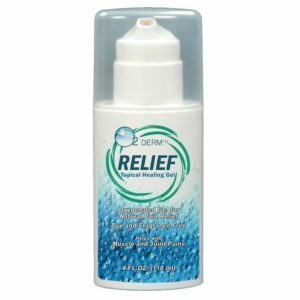 O2 Derm™ Relief is formulated for your everyday aches and pains. Keep your body on the move with this odorless, non-allergenic, oxygen rich gel. Pets benefit from oxygen too. 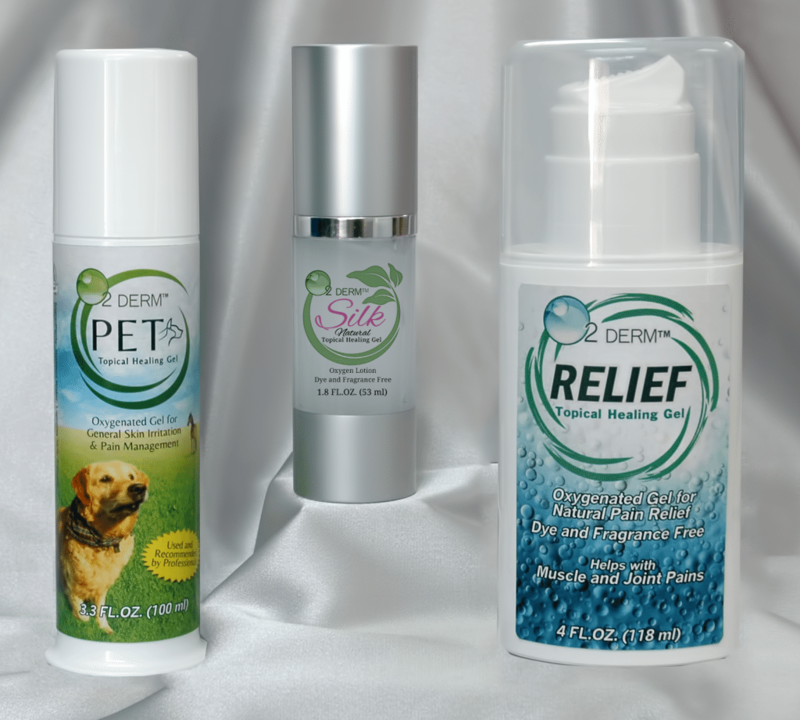 Veterinarians have used O2 Derm™ Pet to treat canine interdigital cysts, cat and dog skin problems, and itchy pets, just to name a few. O2 Derm™ was originally conceived as an oxygen rich cosmetic. This gentle, translucent gel is a natural exfoliant, helps skin retain its moisture, and leaves behind a silky smooth feel that helps reduce wrinkles. At Derm Creations, we believe the oxygen revolution has just begun. We remain at work improving our formulas and considering new products and approaches. We invite you to visit our corporate website to learn more about the science behind O2 Derm™ and to tell us which O2 Derm™ product has changed your life.